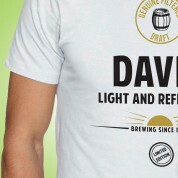 Beer lovers in particular will love to receive this uniquely designed t shirt, the perfect gift for a Brother, Dad, Uncle or Boyfriend on his Birthday. 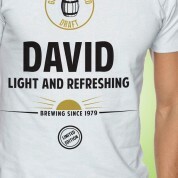 The t shirt is designed and printed in-house and features the wording: “Genuine filtered draft, light and refreshing”. 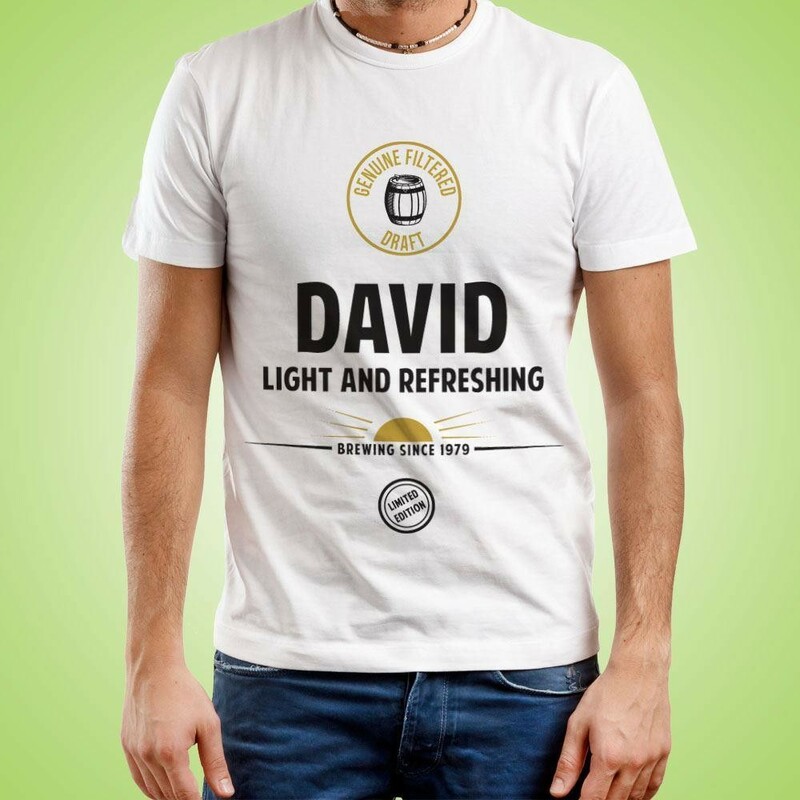 Personalisation includes the recipients name in bold, black lettering, and their year of birth after “Brewing Since”. 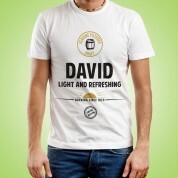 The design resembles classic and popular beer labels and will go with any outfit.